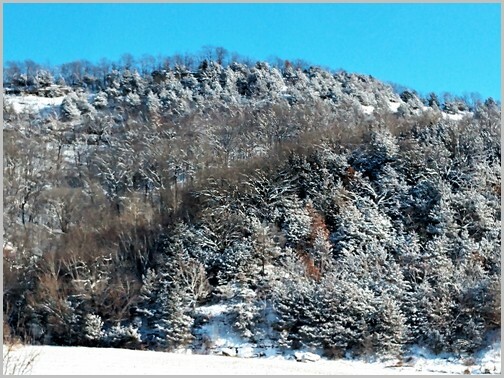 This scene of snow along the bluffs of the Mississippi River in Wisconsin was taken by my cousin Georgia. We have a forecast of snow today so we will see! Message summary: Let us heed the powerful command from James, “Humble yourselves before the Lord, and He will lift you up” (James 4:10). “Twelve months later, as the king was walking on the roof of the royal palace of Babylon, he said, ‘Is not this the great Babylon I have built as the royal residence, by my mighty power and for the glory of my majesty?’” (Daniel 4:29-30). “Humble yourselves before the Lord, and He will lift you up” (James 4:10). Knowing our place has always been a real challenge and all through human history pride has been an ancient sin. Pride is listed in Proverbs 6:16-19 as one of the seven sins the Lord hates, “a proud look”. Humility is a foundational Biblical principle. Simply put, “God opposes the proud but gives grace to the humble” (James 5:5). John the Baptist understood this vital spiritual principle, as evidenced by his declaration that “He (Jesus) must increase, but I must decrease” (John 3:30). Nebuchadnezzar reigned over the Babylonian Empire, one of the greatest of world especially empires. But like many, politicians it seems, he was a very conflicted man. 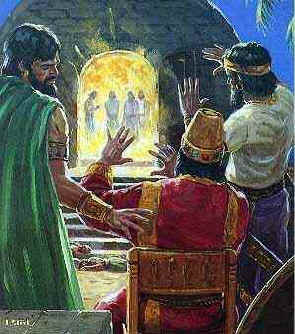 His pride led him to construct a great idol and demand that people worship it which was in direct conflict with the Biblically-based convictions of Shadrach, Meshach and Abed-nego and they refused to bow down, leading them to the fiery furnace. Following their miraculous deliverance in the third chapter of Daniel Nebuchadnezzar seemed to humble himself and acknowledge God as expressed in Daniel 3:28-30 and Daniel 4:1-3. However this was only temporary. At some unspecified later time, but also in chapter four, he again became proud. The vision and Daniel’s interpretation greatly disturbed him and perhaps worked on his mind for awhile, but he did not respond in humility and repentance. 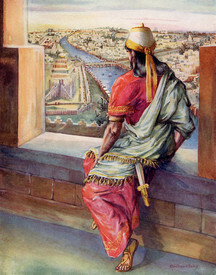 “Twelve months later, the king (Nebuchadnezzar) was walking on the roof of the royal palace of Babylon”. Likely, as the months went by, the burden and conviction eased. That tends to happen. How is your life going today? Perhaps your health is good. Your family is doing well and loves you. Your finances are in order and your job seems to be secure. These are real blessings from God. Earlier, just prior to his vision, Nebuchadnezzar had said: “I, Nebuchadnezzar, was at ease in my house and prospering in my palace” (Daniel 4:4). Both of these conditions (ease and prosperity) are something we desire as well as security. Yet we must always remember these are blessings from God and we are to remain dependent upon Him. He deserves all the glory. That will help keep us humble. Pride still comes before the fall. “So, if you think you are standing firm, be careful that you don’t fall!” (1 Corinthians 10:12). 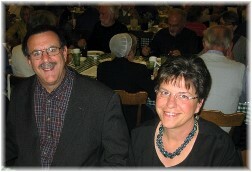 Let us heed the powerful command from James, “Humble yourselves before the Lord, and He will lift you up” (James 4:10). Daily prayer: Father, we know that none of us are completely humble, for we are clothed in these mortal, fallible bodies. But we do know that Jesus is the model of One completely humble in His humanity and divinity. He did not consider equality with You, our Father, something to be grasped but took on His personhood as a man and became obedient to death on the cross. We look to Him as the supreme example of humility and obedience. As we clothe ourselves in Your righteousness we can overcome the pride that is ever before us. We recognize that no good thing can come from us, but all that is good comes from You. Remind us daily that the attitude of gratitude is the antidote for feelings of pride. When we acknowledge that everything we have and all that we are is due to Your merciful blessings we are humbled and grateful to You, the Giver of every good and perfect gift. Amen.